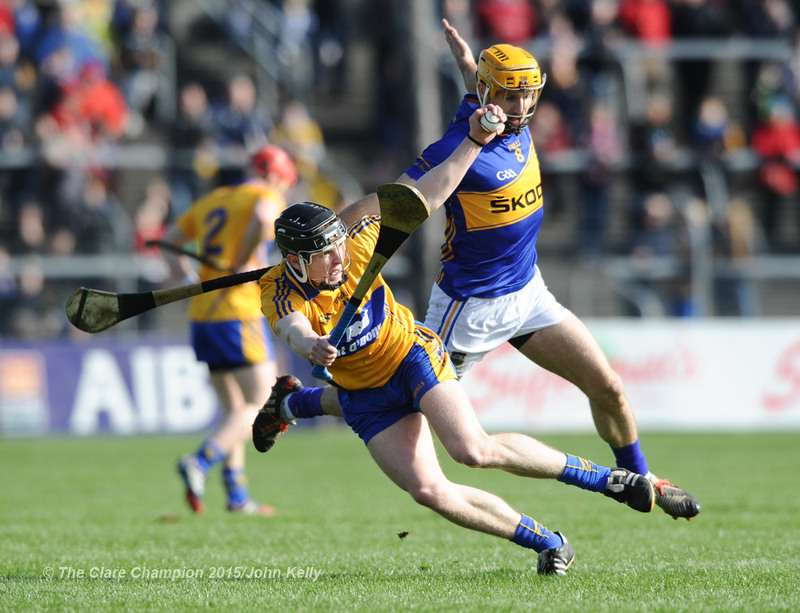 Tony Kelly of Clare in action against Kieran Bergin of Tipperary during their game in Cusack park. Photograph by John Kelly. 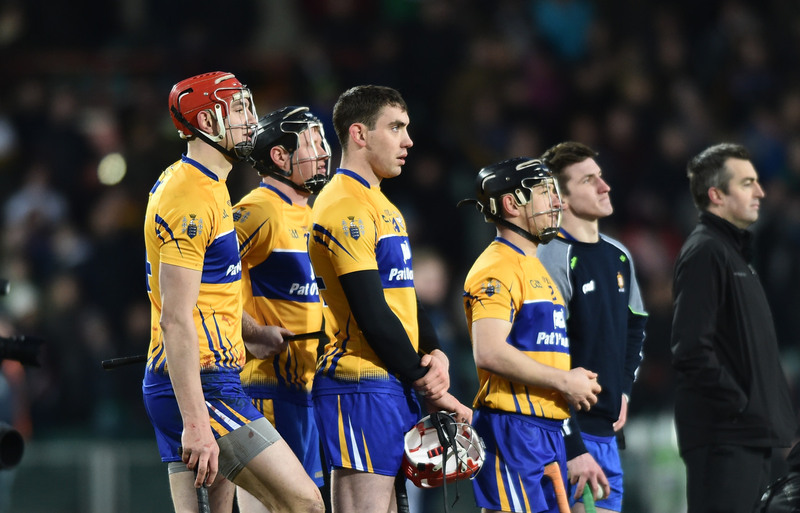 Despite showing improved form on their previous league outings, Clare suffered their third defeat in succession when going under to Tipperary at Cusack Park in round 3 of the Allianz hurling league on Sunday afternoon. 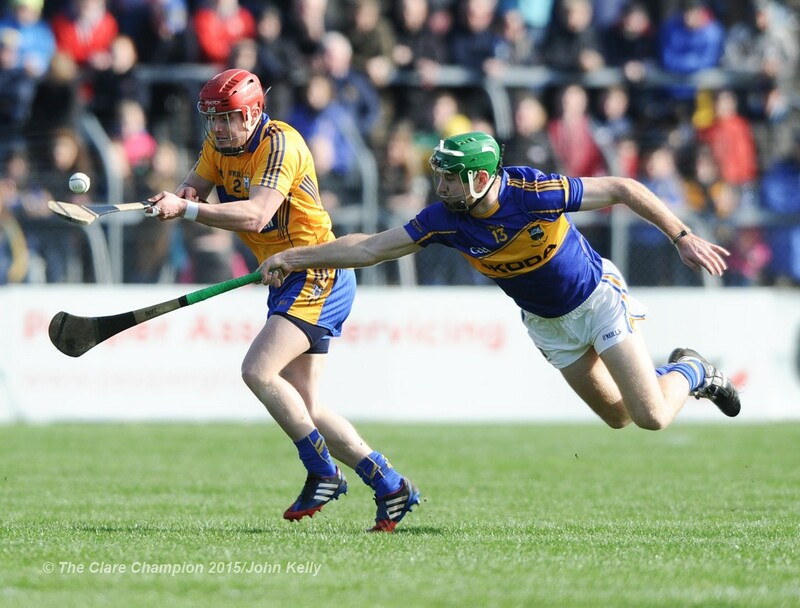 John Conlon of Clare in action against Conor O Brien of Tipperary during their game in Cusack park. Photograph by John Kelly. Goals in the 43rd and 66th minutes proved crucial in a tie played before 7,363 patrons. 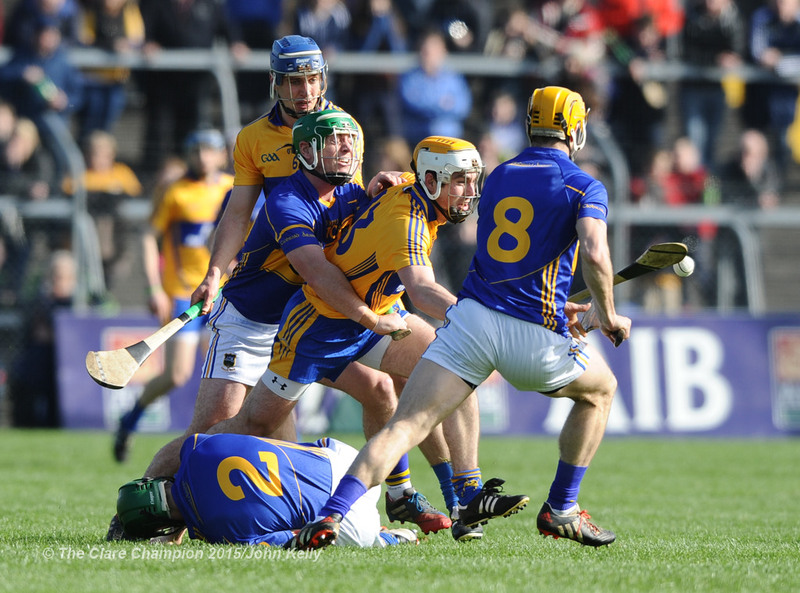 Tipperary showed the greater sharpness on the day and this was a crucial factor on the day. The visitors started brightly and led 0-4 to 0-1 after twelve minutes. With centre back Conor Ryan in excellent form Clare hit the next four points to lead by one, 0-5 to 0-4, after twenty minutes. The home side failed to build on this, however and the premier outfit fought back and led by four, 0-13 to 0-9, when the half time whistle sounded. Clare returned with Aaron Cunningham in at wing forward in place of Shane Golden but Tipperary hit the first two points of the new half to go six clear. 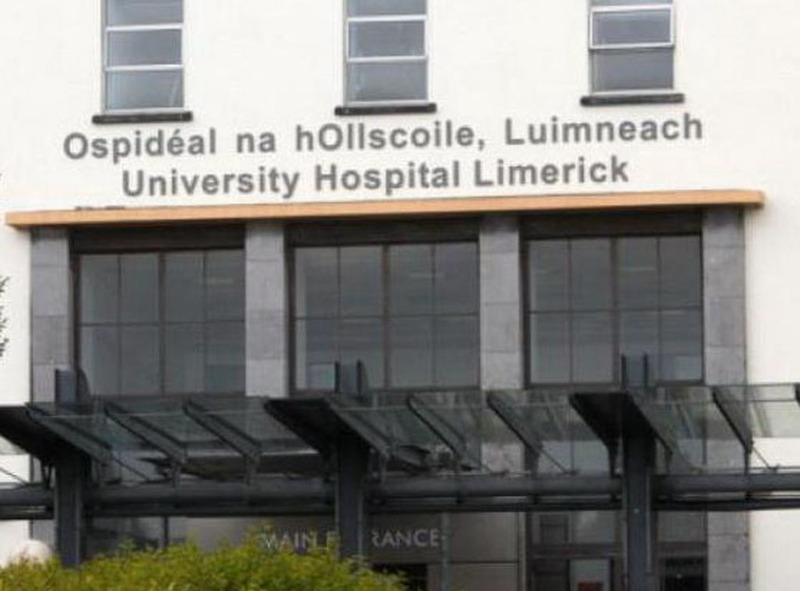 Three unanswered points for Clare got the home followers’ hopes up but a Noel McGrath goal rocked the Bannermen eight minutes into the second period. 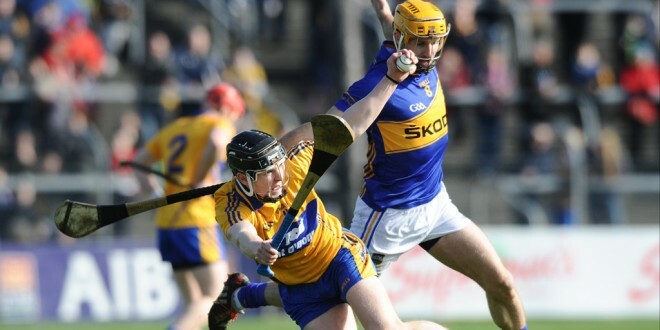 Paul Flanagan of Clare in action against Noel Mc Grath of Tipperary during their game in Cusack park. Photograph by John Kelly. Clare fought back again and cut the lead to four entering the final quarter. They had it back to two with five minutes remaining, 1-18 to 0-19 and things were looking good for the hosts as they were piling on the pressure. A minute later the winners struck a decisive blow when James Woodlock got in behind the Clare defence and he won possession from a superb Seamus Callinan pass before firing home their second goal despite the efforts of Pa Kelly who got his hurley to the effort but failed to keep the ball from crossing the goal line. Cathal Barrett, Michael Breen, Padraic Maher, John O’Dwyer, and John McGrath were prominent for the winners while Clare’s best were Conor Ryan, David McInerney, Cian Dillon and Shane O’Donnell. 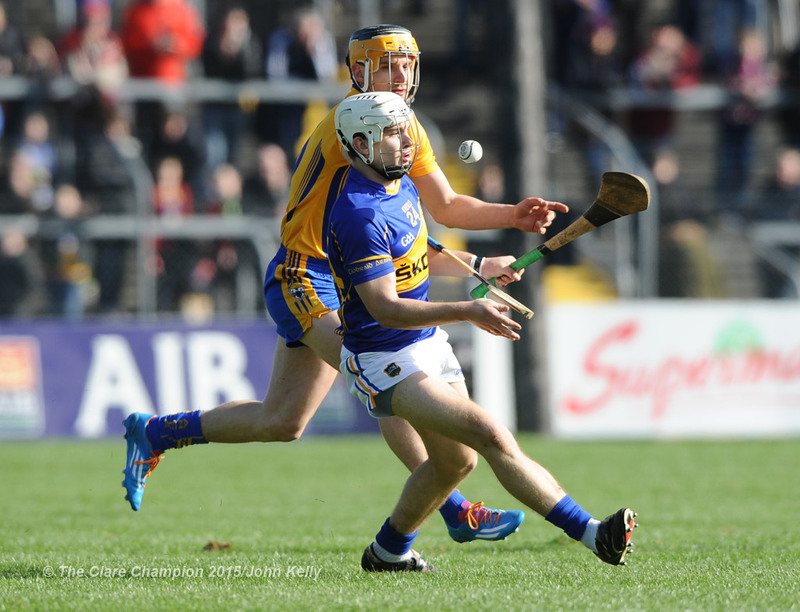 Niall O Meara of Tipperary in action against John Conlon of Clare during their game in Cusack park. Photograph by John Kelly. 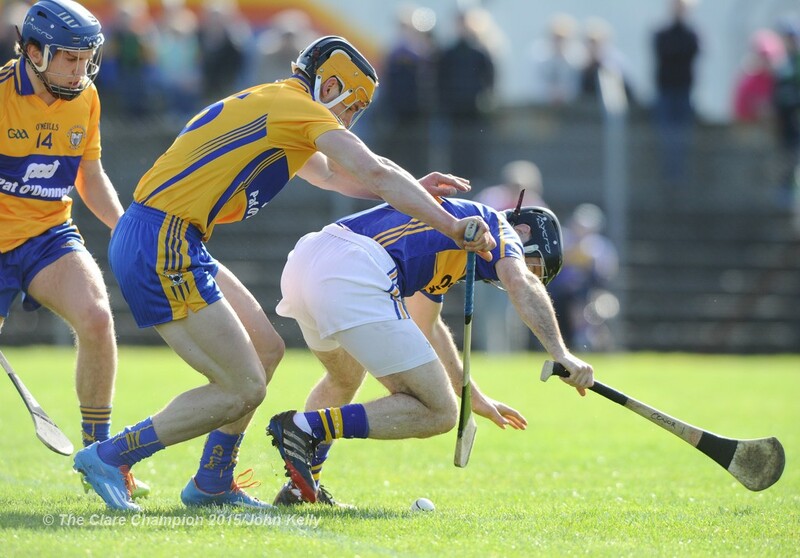 Conor Mc Grath of Clare in action against John O Dwyer of Tipperary during their game in Cusack park. Photograph by John Kelly.